A Naxos Music release of the Duo Deloro debut CD is finally out! 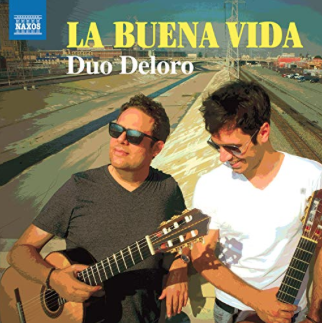 La Buena Vida is a contemplation on the good sides of life - those that are often overlooked - as Adam Del Monte, flamenco phenom, and myself explore the borders between classical and original flamenco compositions. This has been a two year project and we are happy to see it come to a positive end. The Album is available on Spotify, Naxos Music Online, Amazon and many more. Send us a note for a signed copy!